Paul Menard and the No. 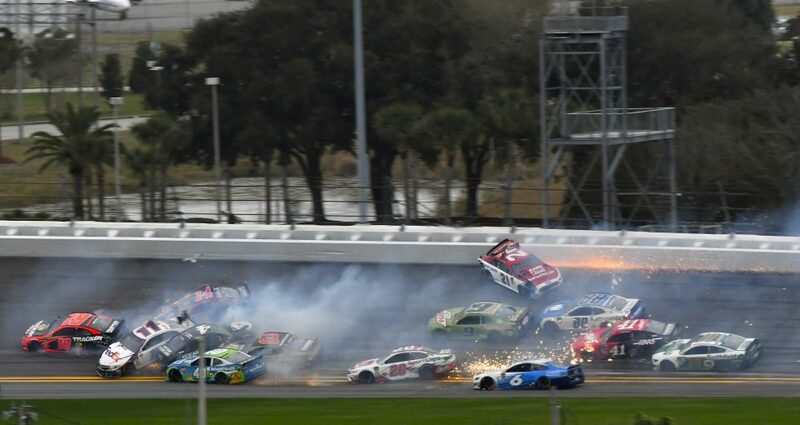 21 New Ford Tech Mustang were the dominant team in Sunday’s Advance Auto Parts Clash at Daytona. But after starting from the pole and leading 51 of the race’s first 55 laps, Menard lost the top spot and a potential victory after contact with eventual winner Jimmie Johnson. He took some consolation in setting a record for laps led in the Clash. He broke the old record of 47 laps led, which was set by Dale Earnhardt Jr. in 2008. Menard will start the first Duel from sixth place after posting the 11thfastest time in pole qualifying on Sunday. Menard’s lap at 191.196 miles per hour in the first round of qualifying sent him to the final round, where he turned a lap at 191.107 mph. He said he was proud of his qualifying performance, given the fact that he and his Greg Erwin-led crew decided ahead of time to tune the No. 21 Mustang with an eye toward better handling in the Duels, which will set the starting line-up for Sunday’s Daytona 500. “We picked up a little bit from our mock runs [Saturday], so I was happy with that,” he said. “We didn’t really figure we had a shot at the front row, so we put a little bit of driveability in the race car with it being an impound for the duels, knowing that we were going to give up a little bit in qualifying because of that. The Gander RV Duels are scheduled to start at 7 p.m. on Thursday, Feb. 14, with TV coverage on Fox Sports 1, and the green flag for the Daytona 500 is set to fly at 3 p.m. on Sunday, Feb. 17, at 2:30 p.m., with TV coverage on FOX.